Kidney C.A.R.E. Campaign encompasses all the programs offered by TKF. Awareness is an essential component to the success of TKF as we continue our service to the community. The Kidney C.A.R.E. Campaign is fueled by the solid reputations of the programs. When TKF linked the Kidney C.A.R.E. campaign to the practical early detection screenings of the Texas Kidney Check Program, productivity exploded. 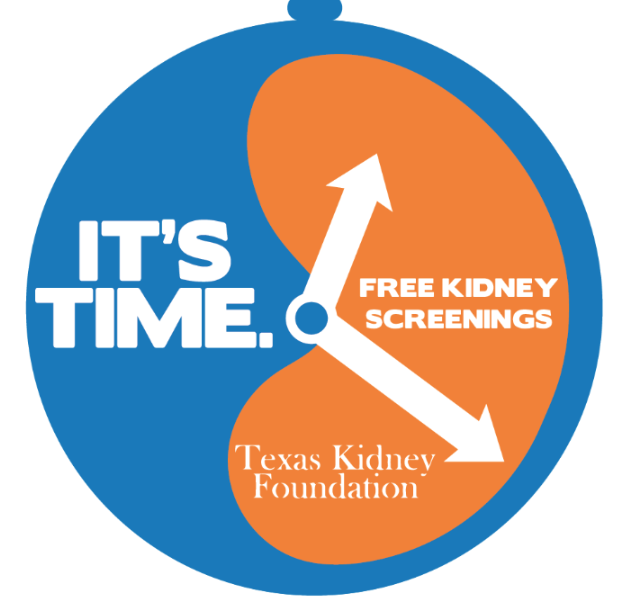 TKC served 4,577 participants in 159 screening events in 42 Texas counties. Every volunteer hour and donor dollar given to Texas Kidney Foundation serve’s the residents of the state of Texas. TKF maintains a small staff because we rely on volunteers to help execute the mission of the organization. Our team of Kidney Crusaders are making a difference, please continue to support us as we improve the lives of Texans.